This was an older gas furnace and air conditioning system that the owners desired to upgrade. We also discovered leaks and inefficient ductwork in the attic. We replaced the older system with a Lennox Gas furnace and Air Conditioner and installed new duct work. Need additional attic insulation. Also need to better seal recessed lighting (approx 50). Possibly also better insulate bedroom at attic level.. I would like to improve my energy use / bills. I have 3 outdoor units at my home and one of them is nearing point of needing replacement. I am heating with a combination of oil and electric and curious as to whether there is an opportunity to improve my current system somehow. I'm interested in getting some blown in insulation and possible an energy audit. Furnace went out yesterday, tech said it need Hot surface Ignitor. Furnance is 19 yrs old. Looking to replace furnace. Prefer free estimate. Greensboro, NC experiences a wide range of seasonal temperatures that makes it essential for residents to have a reliable HVAC system. 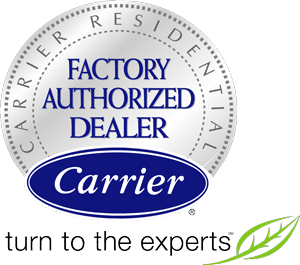 The heating and air conditioning professionals at Logan Home Energy Services are ready and able to help Greensboro homeowners and business owners beat the humid summer heat with our expert air conditioning repair and replacement services! We are a locally owned and operated HVAC company offering everything from home energy audits, heating and air conditioning services, and electrical repair to commercial HVAC installation and more. Our experienced, NATE-certified technicians can provide any air conditioning or heating service needed to keep your property cool in the summer and warm in the winter. The right kind of heating and cooling system can make a significant difference in both home comfort and home energy efficiency, which means that you can enjoy consistent temperatures inside your property while also cutting back on your energy bills. With over 60 years of experience in the Greensboro area, Logan Home Energy Services is fully qualified to handle everything from HVAC repair and maintenance to new heating and air conditioning installation. Contact us today to get a free, no-obligation cost estimate on HVAC installation and home insulation in Greensboro and surrounding areas! We are your local HVAC contractor with decades of experience in the home comfort industry, and we are ready to help. I have a 3000 sqft house that need a new HVAC unit. Energy costs (primarily Natural gas) seem excessive. Do I need more insulation? Are the ducts properly insulated and seamed? Is the furnace functioning properly? Wanted to get an estimate on insulation for my attic and under the house. I currently have oil heat and would like to convert to gas. I do have a gas line to the house already and would like a quote. Please email your correspondence, thank you. I have some weatherization projects that I'm interested in getting a quote on. Big energy bill in our small house, possibly due to air leakage and old insulation. Maintenence of ac unit. 2 condensers. 1 is running but not cooling. Two (2) three-story condo buildings in 55+ community. The buildings have existing cellulose insulation blown in the attic that has settled. Need to top off the existing insulation with additional 6 inches. The buildings each have approximately 13,000 SF of surface area to cover.